Disclosure: This post is part of the HEALTHY ESSENTIALS® 2014 program by Johnson & Johnson Consumer Companies, Inc., and The Motherhood, who sent me a box of products and compensated me for my time. Opinions, experiences and photos shared here are all my own and I hope you enjoy them. We've been back in school for about two weeks now. It's been a quite a transition this year but thankfully we have already established our back to school routine! There are a couple steps to our routine and I make sure they are done in the same order and (pretty much) at the same time every day so the kids have gotten adjusted rather quickly. Tip #1: Set a firm bedtime! Morning wake-up calls are at 7am so I make sure the kids are in bed by 8:30pm. No later! I started them back at this schedule one week before school even started. There is still complaining and attempts at negotiating this bedtime, but I stay firm. Lights out at 8:30pm! 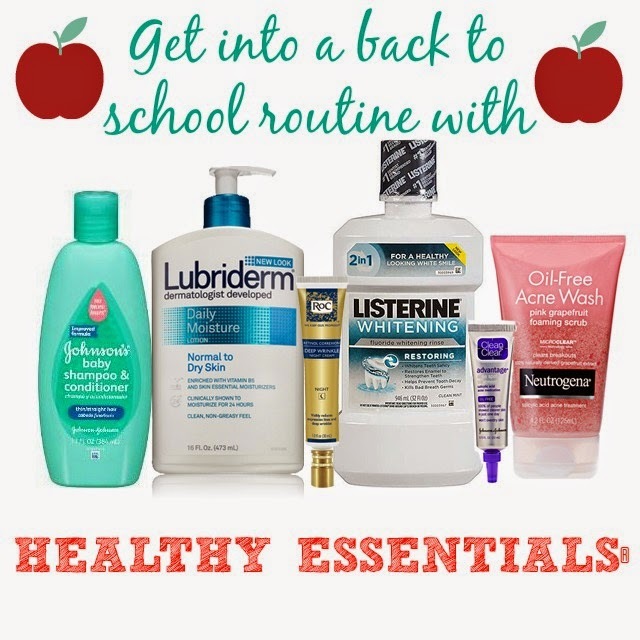 Tip #2: Stock up on bath and hygiene products that your family loves. This one is important. I get home by 5:30pm and then have to start on dinner and homework help. I do not have time to go to the store because we ran out of shampoo or lotion. I stock up on all the Healthy Essentials® we need for at least 2 months at a time. Tip #3: Hygiene is important. At 8pm, I turn off all electronics and TV shows and it's up to get ready for bed. 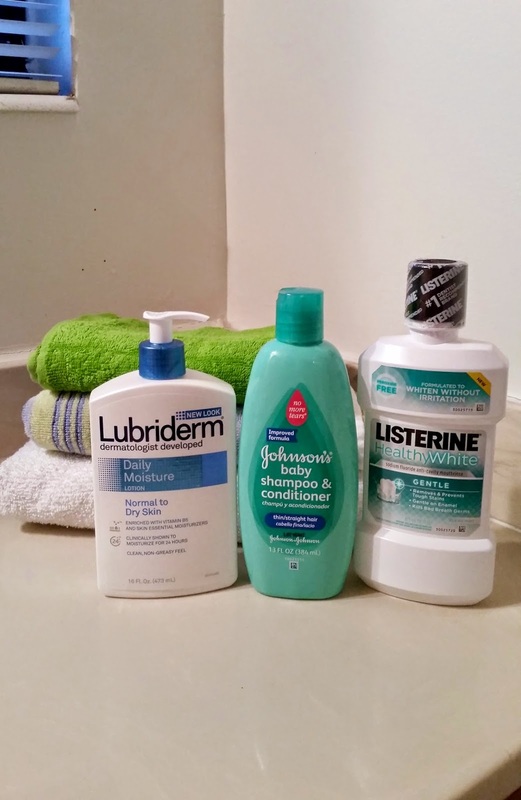 We go through the nightly routine of shower (make sure to scrub! ), hair washing (yes, you need to wash it!) and rinse (all the soap needs to come off!). The kids use Johnson's Baby Shampoo & Conditioner to wash their hair. I like it because it doesn't hurt their eyes so they mind it less than adult shampoo and it's a one-step system. If they had to shampoo and condition separately, forget it. Once they are out of the shower, they dry off and I make them use lotion on all their body. It's so important. I don't want their precious skin to dry out. Then it's teeth brushing and mouthwash. They use a kids mouthwash and I like the Listerine Healthy White. Gotta keep our pearly whites healthy! I believe you are never to old for a bedtime story so I read one to the kids every night. We chose the book depending on how much time we have before "Light's Out." I think this helps them settle down and get ready for bed. It's also a special quiet time where I know they are actually listening to the words coming out of my mouth. Tip #5: 5 minutes for Mom! Seriously, take time, even if it's 5 minutes for yourself! I like to take at least 5 minutes for myself every night. I close the bathroom door and no one can come in! I'll shower, shave, brush my hair, anything ALONE! 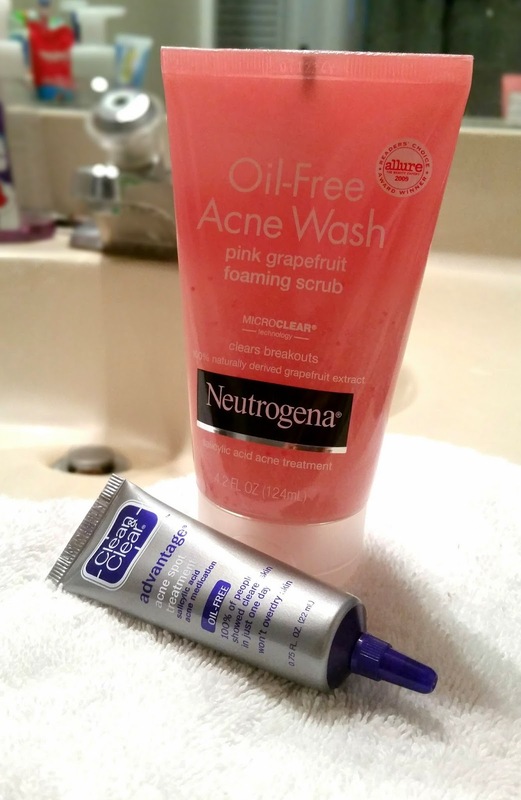 Getting back in a routine stresses me out and I get breakouts, so I'll use an Acne Wash like the grapefruit scrub from Neutrogena and Acne treatment on my face. This only lasts a couple of weeks but it happens every school year. All these tips have helped us get into a routine rather quickly and I hope they help you too! HEALTHY ESSENTIALS® is offering amazing printable coupons, tip & tools and so much more for all the products you and your family love. You can save more than $40 by visiting http://www.HealthyEssentials.com now and signing up for HEALTHY ESSENTIALS® program coupons and offers!